Welcome to William's Plumbing and Heating - Edinburgh & Lothians! Does your sink have a constant tendency to get clogged? Have you had problems with a toilet that often clogs, constantly runs, leaks, or lacks flushing power? William’s Plumbers Edinburgh have been covering Edinburgh & The Lothian’s for over 15 years. I don’t just cover Edinburgh , most of the time we are all over the Lothian’s this is due to recommendations. We are a full service commercial and residential plumbing company, fully qualified and insured. Our many years of experience in the industry mean that you can be confident of getting quality, professional work. All of our work is charged on a flat rate basis so there are no surprise fees once the job is complete! I care about our clients and their satisfaction. I always strive to provide the highest quality service. 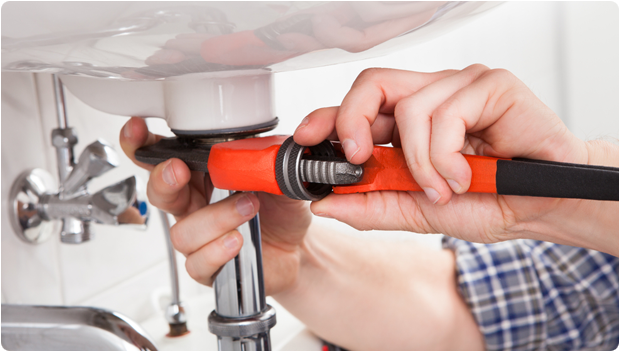 With my years of experience in plumbing, I am able to quickly resolve any issues you may have, whether residential or commercial. You satisfaction is guaranteed. I stand behind my work. Feel free to contact William at 07795 258457 at William’s Plumbers Edinburgh for a free estimate and for all of your plumbing and heating needs. Have a plumbing emergency? No problem. Call me any time, day or night, I can help. I look forward to serving you! As we at William’s Plumbers Edinburgh carry out many of our jobs in care homes schools and public buildings, we carry a “Disclosure Scotland” certificate. A Disclosure Scotland is a certificate supplied by the Scottish government (Via Edinburgh city council), this certificate is to show that we have no police record. This certificate is updated every two years, giving all of our clients the piece of mind they need. William saved the day just read my Testimonial below. “Where do I start! 1st guy (rip-off) 2nd guy (never turned up) 3rd Guy was alright, but then he flooded the downstairs neighbour and never came back! If it wasn’t for my friend Sharon who recommended William, Well… Who knows? (thank you William very much for making it right). Big kiss from all of us. Excellent, can’t fault William’s Plumbing and Heating on anything. The work was of very good standard and good value. The chap was very polite and well mannered, a rarity these days. He even went to the store for any fixtures needed, and never charged us for that time. I will be using them again for any future projects. I initially used William’s Plumbing and Heating Services to replace a bathroom suite. He came as a personal recommendation from someone who had the same job done. The professional workmanship was outstanding and the job was carried out on time and within budget. I have no hesitation in recommending Williams Plumbing Services and have indeed recommended the company to other friends who have also been extremely happy with the workmanship. He even has a 4×4 wheel drive to get to me last winter in the snow.